Sweet strawberries straight from the garden and warmed by the summer sun are a treat to look forward to each season. The traditional strawberry patch, with its sometimes back-breaking work, has been replaced by a new technique -- hanging the strawberry plants from a sack-like planter suspended in the air. Commercial upside-down strawberry planters are available in stores and are extensively advertised on television. Open the upside-down planter from the top. Mix compost and potting soil; make sure ¼ to ½ of the mix is compost. Fill the upside-down planter with the soil mixture. Agitate the planter to ensure that the contents settle, and then add more soil to bring the amount to the line recommended by the manufacturer. Spread apart the slits on the sides of the bag and push roots of the strawberry plants into the soil. Do not cover up the rest of the plants, but ensure that they are firmly against the soil. Place the planter on a hook in a location where it will receive abundant sunshine. When water is added, the weight is considerable, so the hook must be sturdy and not be likely to pull out. Add water to the plants via the hole at the top of the planter. Use a funnel to help guide the water into the hole, or use a watering can with a long, narrow, curved spout. The commercial planter can hold up to a gallon of water at a time. Water frequently, up to once a day in sunny, hot weather; the planter quickly dries out. Lift the planter with your hand; if it feels light, it probably needs watering. You'll soon be able to judge the need by the look of the plants. 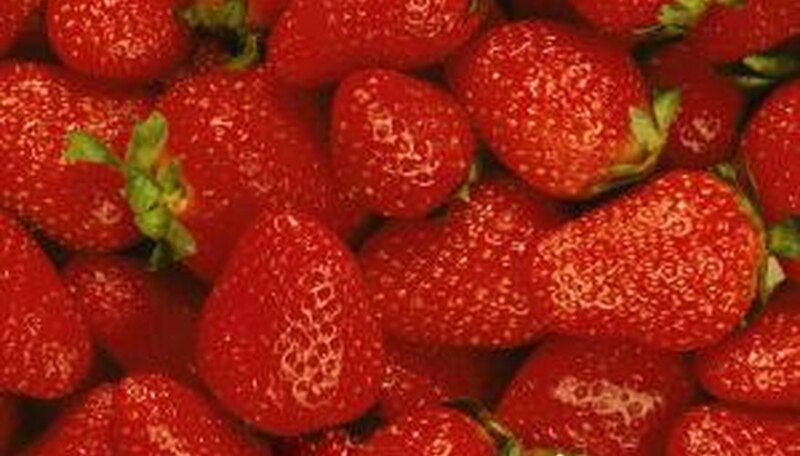 Strawberries are very sensitive to lack of water, and need abundant amounts to thrive. Pick the initial flowers from the plants as they develop to help the plants concentrate on getting established instead of reproducing themselves.